The Springboard Charity helps people of all ages and backgrounds improve their career potential in hospitality, leisure and tourism, especially those who experience barriers to employment and those in education. By so doing, we help to reduce unemployment and poverty across the UK, and reduce the sector’s skills shortages. All funds raised will go towards supporting Springboard’s Hospitality Futures programme. This employability programme is designed to support those furthest away from the labour market to overcome multiple, complex barriers and gain employment within the hospitality, leisure and tourism industry. Through a combination of group sessions and one-to-one mentoring, the programme offers: five weeks of employability and soft skills training, including engagement with employers and industry-relevant accredited qualifications; two week work placements within Springboard’s hospitality Business Partners; and, over six months of aftercare to support sustained education, apprenticeship, and/or job outcomes. Our support is focused on reaching out to disadvantaged young people and adults experiencing high levels of economic and social exclusion. We provide personalised guidance for individuals with a variety of barriers, whether they be the result of circumstances, physical illness, or mental health issues. Benefit from into work and in work mentoring support. The Hospitality Futures programme supports people like Stefan. Stefan had been unemployed for over twelve months. He very much wanted to work and just needed somebody to give him a chance. Stefan has Asperger’s syndrome and believed that this was a big barrier in him acquiring employment. In his seemingly endless search for the right opportunity, he came across Springboard’s Hospitality Futures at his local job centre. From day one on the programme Stefan was a bubbly, friendly and engaging character. He performed very well on the course and was completely committed. At the end of the programme Stefan did his work placement with one of our business partners, as a canteen assistant. Unfortunately he was not successful in the first instance, falling just a little short on their customer service expectations. Stefan remained determined and we continued to work with him for a number of months. With some good work on his CV and interview skills he managed to get himself a job as a cleaner on public transport at the beginning of the year. It was only a fixed term contract and not his ideal job, but we felt it was a step in the right direction. The bigger picture was still very much to get him his dream opportunity in customer service within a reputable establishment. At the end of his contract and after more one-to-one work, we put Stefan forward for a position at the National Theatre. Stefan did amazing during the interview process and was offered the job. He has since starting working at the National Theatre as a Food & Beverage Assistant and is absolutely loving it. Last year alone, Springboard successfully helped 92 people to turn their lives around. After the loss of his mother, Gabriel was left alone. Without a sense of direction, he ended up involved with the wrong people, winding up in prison. In an attempt to turn his life around, he connected with Springboard and Galvin’s Chance. The programme he undertook helped him to develop the skills he needed to stand out from the crowd. Now he works full-time at Park Plaza Hotels, and has already been promoted. Joe had found it difficult to find work since leaving education. 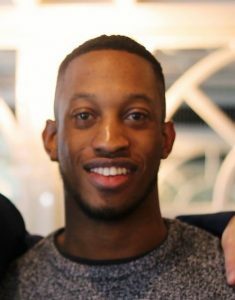 After 18 months of searching, he discovered the Springboard Charity, who offered him the support, guidance and education he needed to start his career. “I knew I needed to sort myself out – but there was no help or support for me. 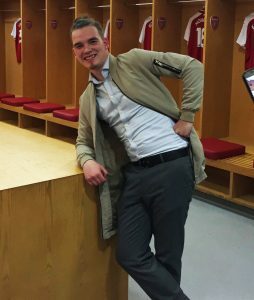 I was so excited to find out about the support Springboard provides, through the Hospitality Futures programme”, said Joe. Although the programme teaches the practical skills and knowledge they need to excel in hospitality, Joe believes that Hospitality Futures provides more than that. Joe’s currently flourishing in all aspects of his personal and professional life, and has become a big supporter of the Springboard Charity. He has even started talking about his personal journey in front of hundreds of industry professionals at the charity’s events like ‘The Big Event’ and ‘Christmas Carols’, and starring on the West End stage at the Hospitality Industry’s Pantomine Aladdin. 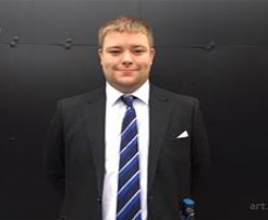 There are no ends to his ambition, or his positive attitude, as he works his way up career ladder from his current role at Red Carnation Hotels.